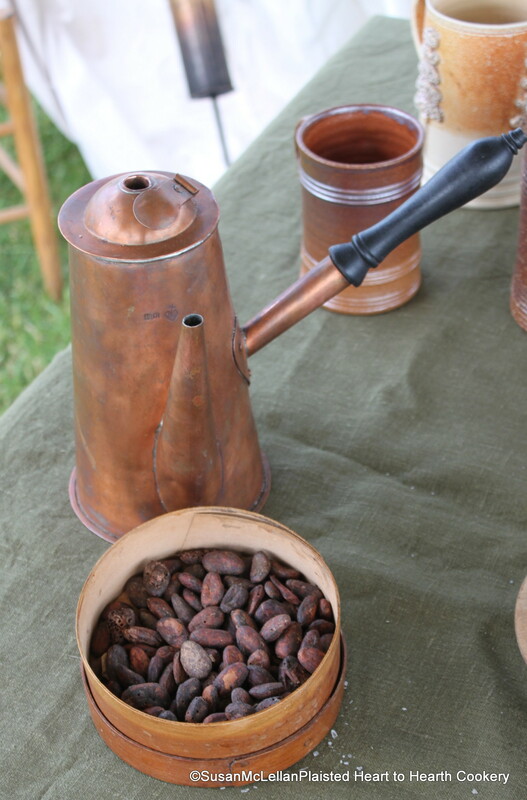 In my beverage display, I had my reproduction chocolate pot and a measure of fermented cacao beans. Without the fermentation process, the cacao beans would never develop the flavor of chocolate when roasted. After roasting and hulling, the remaining bean is called a nib and has a chocolate flavor. The nibs just need to be processed on a metate and voila chocolate liquor to harden to a cake which was grated to make a beverage. Fantastic! I really like to see chocolate history. You are very lucky to get your hands dirty with chocolate. 😉 well done.